13th Jamad us Sani : Death Anniversary of Hazrat Umm-ul-Baneen [Salaamullaah Alaiha]. 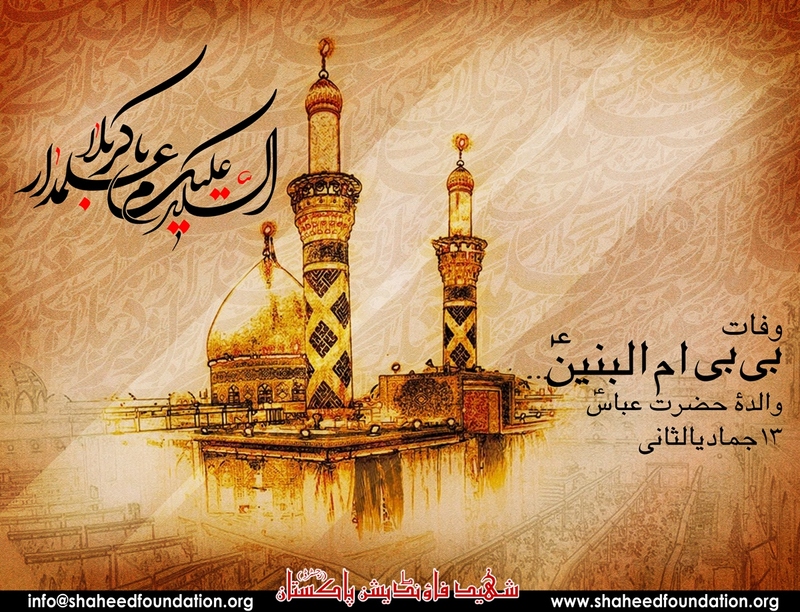 13th Jamadi us Sani marks the Death anniversary of Umm-ul-Banin mother of Hazrat Abbas a.s. Shaheed Foundation Pakistan extends its heartfelt condolences to Imam-e-Zamana a.t.f.s ,Masoomeen Alaihimussalam, Marajee`n ,Ulema, khanwada Shohada and Momineen o Mominaat on the sad occasion. Compiled by Dr Hyder Reza Zabeth Courtesy ABNA.